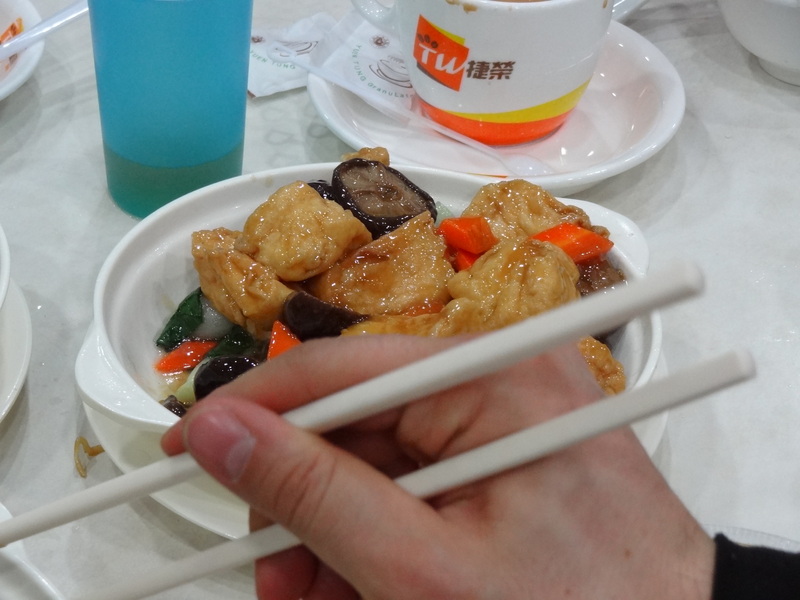 I’m in Hong Kong on a trip / holiday but my secret mission is to taste the best Hong Kong has to offer. 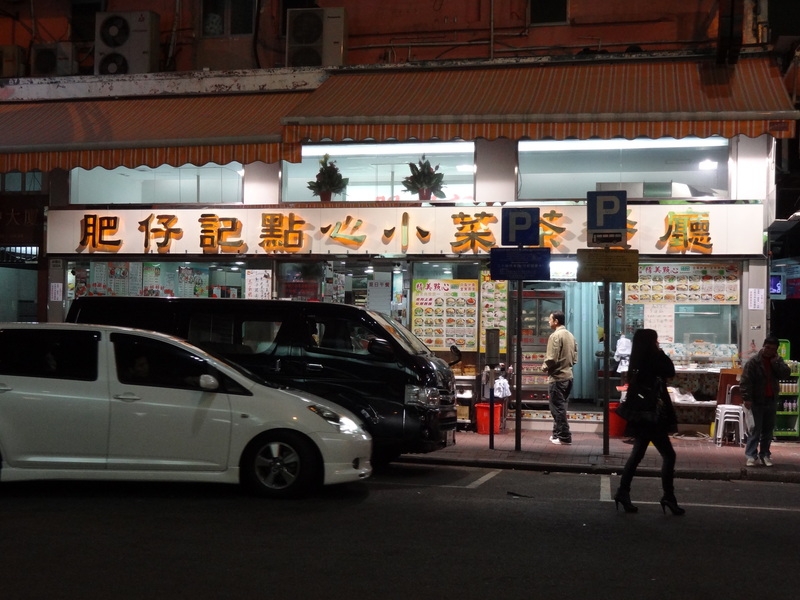 First up is a little canteen opposite the Metropark Hotel Mongkok, directly opposite the garage entrance at 634 Portland Street. The reason I haven’t named the place is that its name is only in Chinese and I can’t read it. An unassuming place. Lit to within an inch of its life and with 40 bamboo steamers going on the outside cooker, this place looks the business. The inside just got better; excessive use of mirrors, TV screens with local TV for those not inclined to talk and a frantic pace of staff flooding into and out of the kitchen. It is also open 24 hours a day, as I later found out from a friend who wandered over to pick up some char sui buns at 4 o’clock in the morning. 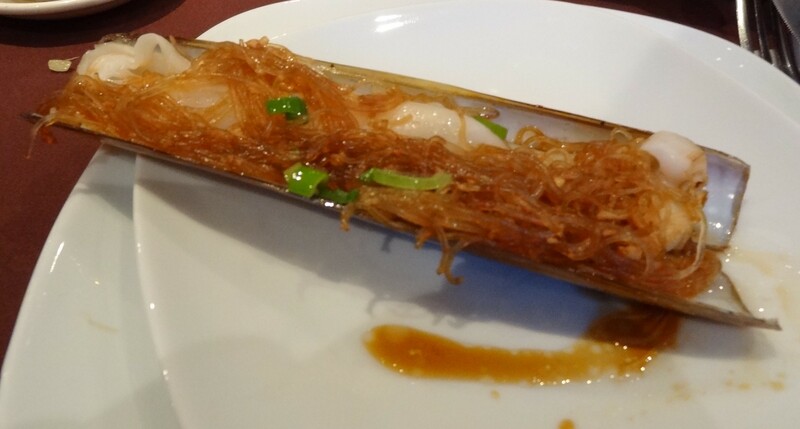 The menu is typical Hong Kong fair of dim sum and Cantonese dishes, but with some noteworthy points to be mentioned. Firstly the two teas I tried. 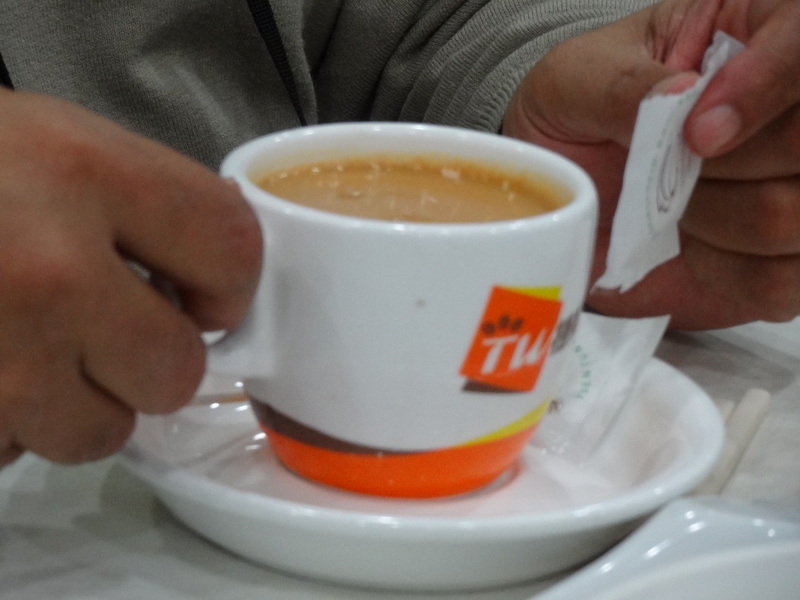 I initially tried the local Hong Kong tea which is a half/half mix of sweet tea and coffee brought about by the use of condensed milk in place of milk (common in former British colonies). It will certainly keep you awake with its sharp injection of caffeine and sugar. The second tea was the lemon and honey tea. I’ve had lemon and honey tea but not like this. No bitterness from the lemon or honey and the sugar level was perfectly balanced to make it easily drinkable. The food was all fresh, which was the main selling point for me. Simple dishes but the quality of ingredients was what made it. 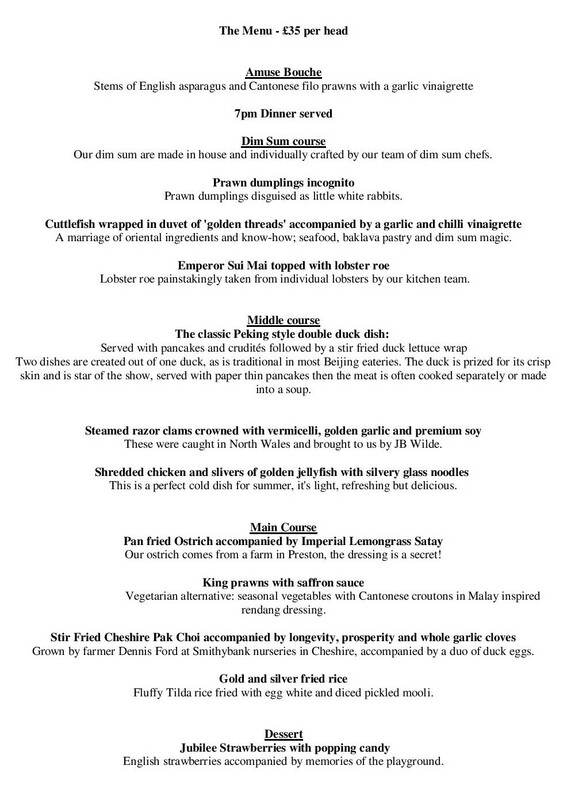 The Gai lan and the prawns & scrambled egg dish we’re my favourites. 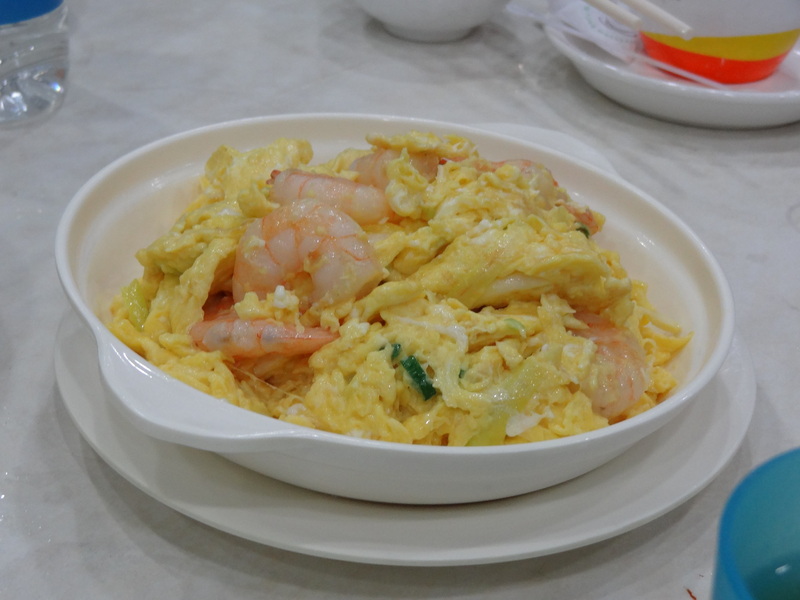 Prawn and scrambled egg doesn’t seem to be ground breaking combination, but the adddition of sesame oil gives it a whole new dimension, putting the mild seafood flavour with the hint of egg in a slick sesame coating. Delicious. I didn’t get the names of all the dishes but with pictures to help, it’s easy enough to order. For the vegetarians, there were excellent choices. 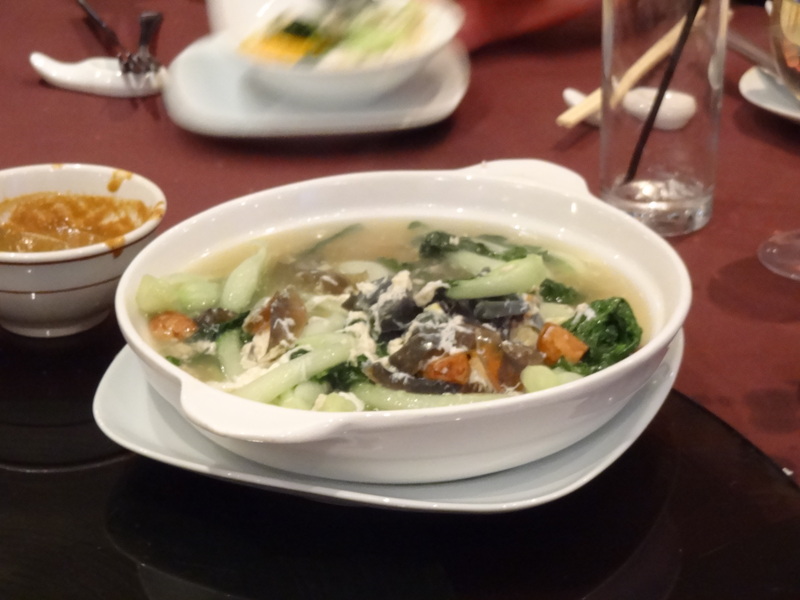 The mushroom and bok choi dish was amazing. Thick, juicy shiitake mushrooms (or something similar) had the satisfying meaty chew that could replace any steak. 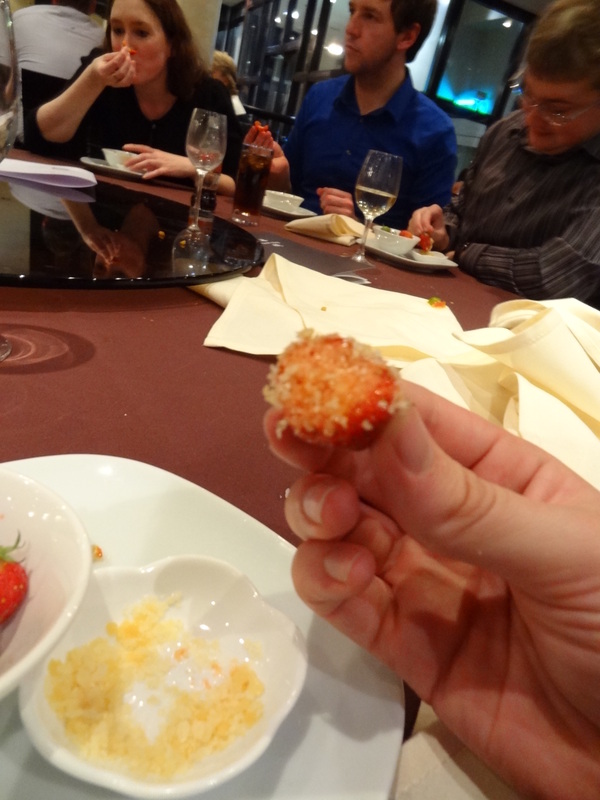 Coated in the semi-translucent cantonese sauce with a distinct Cantonese spice it carries a mild sweet spice flavour. 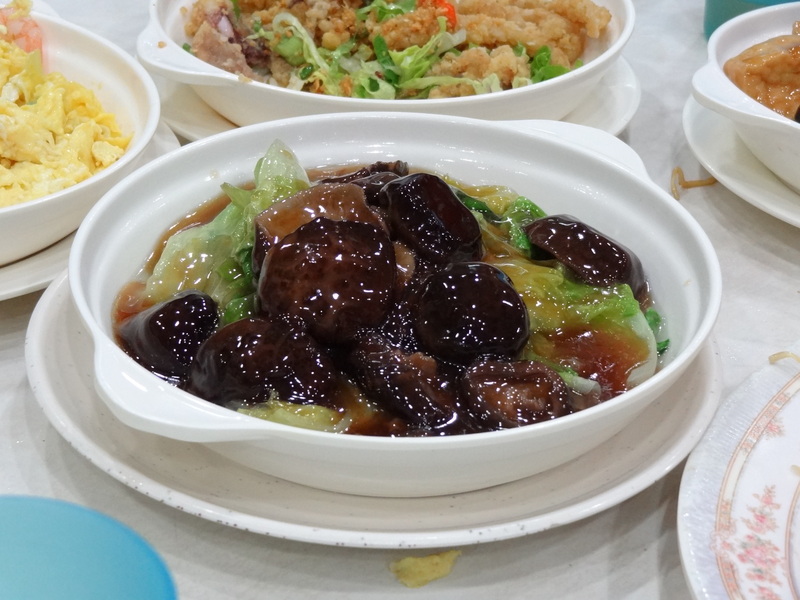 The same sauce coated the mushroom and fired beancurd as it satisfies the need for mixed textures of chewy, crispy and spongy with a great gusto of flavour. 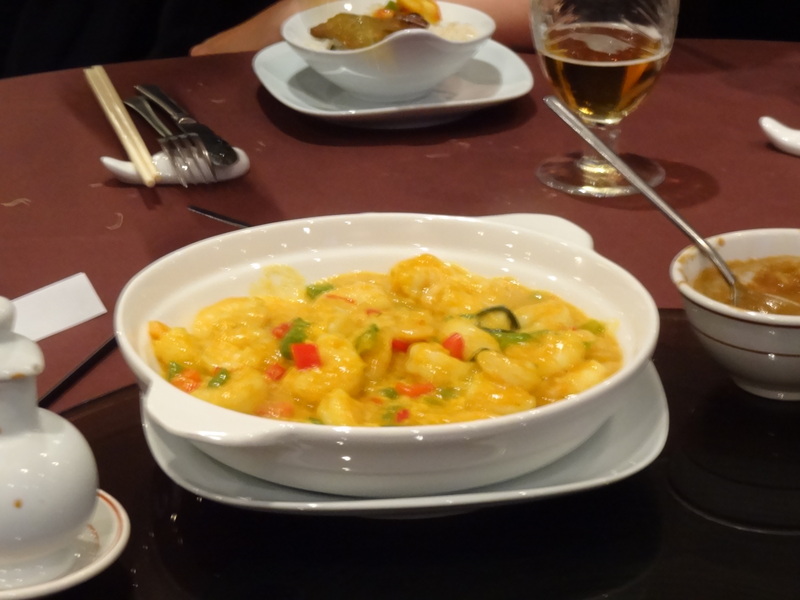 In the end with drinks, dishes and rice coming in at about HK$40 (£3.50 approx.) it was ten steps beyond the airplane food and definitely worth popping to again. 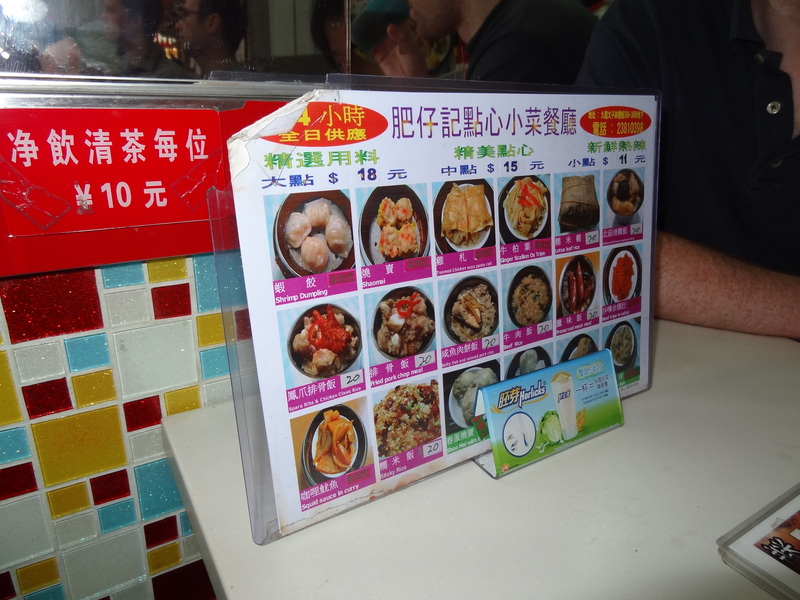 The true joy here was the full-on Hong Kong canteen experience which made it worth every penny.